Provide comfort for the family of Barbara Plude with a meaningful gesture of sympathy. 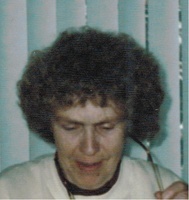 PLUDE – Barbara Joan Plude (Wiersum), age 79, of Comstock Park, passed away unexpectedly to be with Jesus Christ on Sunday, March 31, 2019. She was preceded in death by her parents, Frank and Shirley Wiersum, and sister, Pat Fryling. Barb is survived by her loving children; Diane Plude, Carol Plude, Beth Plude, Jim (Sheila) Plude, and Dan Plude; beloved grandchildren and great-grandchildren; brother, Doug Plude, and sister, Mary (Tom) Malone; many nieces and nephews. Barb's greatest love was her family and she treasured time spent together. A private graveside service will take place in Barb's memory. To send flowers in memory of Barbara "Barb" Plude (Wiersum), please visit our Heartfelt Sympathies Store.